You are entitled to expect that Borrowers will return your car clean and tidy, in the state in which they would expect to pick it up. If a Borrower brings your car back messy, please contact them in the first instance to ask if they could clean it up. 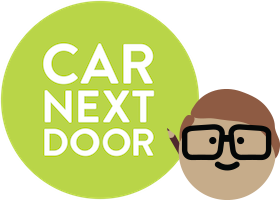 If you have no luck (or if it’s a really serious mess, or they have smoked in the car), please take a photo and email it to members@carnextdoor.com.au with details of the time and date you found the mess. charge them for the reasonable costs of cleaning up the mess they left. You will be paid $15 for the hassle, as well as the reasonable cleaning costs. "Reasonable costs" are generally up to $35 for a whole-car clean. If the cleaning is going to cost more than that, please check with us first. find a mobile car cleaner in the Car care services section when logged in to our website. To leave feedback on the borrower, or prevent them from booking your car in future, leave a review.